... but - from today - there's exactly 4-weeks left until the Edinburgh Marathon; and I'm really keen to try and boost my level of ongoing sponsorship: all goes towards helping the truly wonderful Venture Scotland. And just to prove that I am taking this all very seriously ... I managed to complete the Edinburgh Great Run today! Very pleased with the just-under, 9.5minutes per mile achieved today. So - go on! 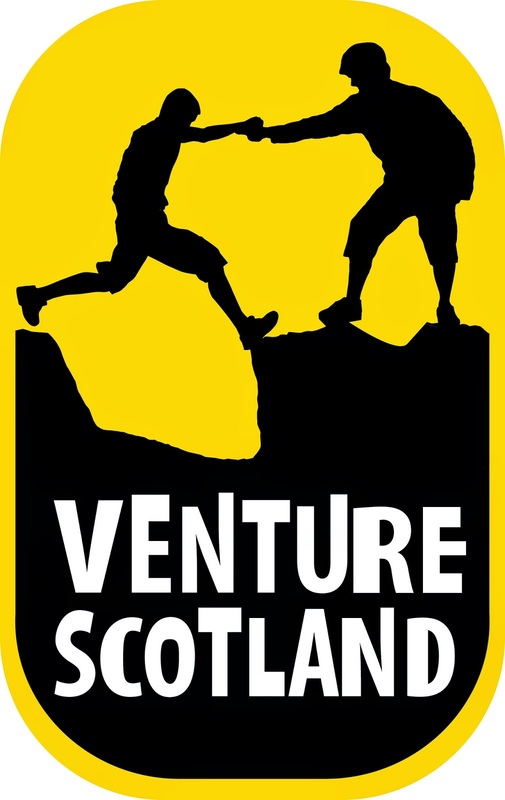 - PLEASE do consider sponsoring me, and helping the wonderful Venture Scotland ... who you can read all about via here. 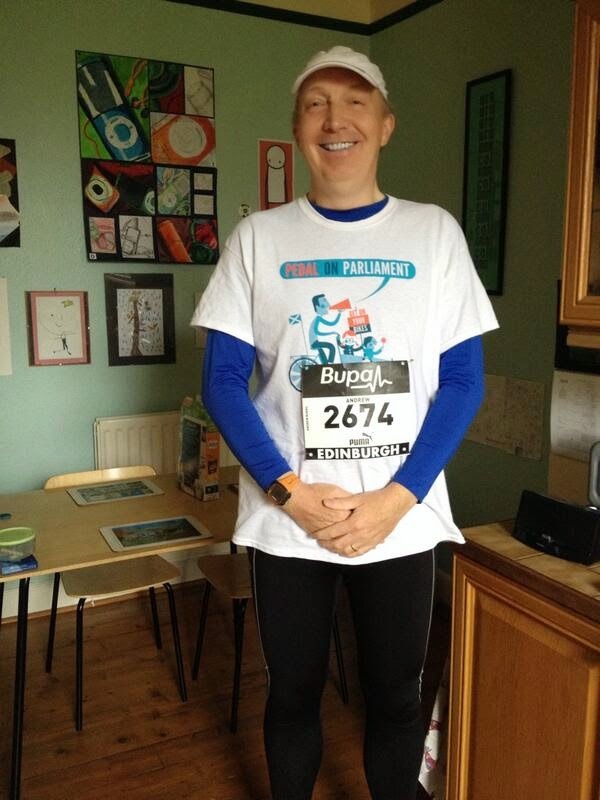 My just giving page is here - many thanks! Shot on the left, is of the Harrison Park (Shandon) Feeder-ride, which had +100-cyclists on it, and was led into town with the help of 2 cycling Police Officers ... was a wonderful way to arrive at The Meadows! 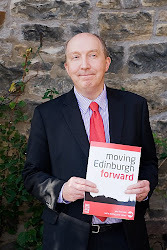 ... several speeches ensued, and I was pleased Edinburgh received some positive mention --- knowing, as I readily acknowledge, that there is still a huge amount of progress to make! Here's a snap of my colleague, Lesley Hinds (Edinburgh's Transport Convener) and me - taken just before the speeches started. I, like everyone across the city and across the country, was truly shocked and saddened by the tragic incident at Liberton High School earlier this month. My thoughts and deepest sympathies are with Keane Wallis-Bennett's family, friends and the whole school community. The Council has since inspected over 200 schools and other facilities across the city, focusing on free-standing walls, and various precautionary works were carried out over the Easter holidays. We are determined to provide reassurance to parents, pupils and the people of Edinburgh that we will do everything in our power to prevent anything like this happening again. It's vitally important that we understand the cause of this tragedy and we are continuing to work very closely with Police Scotland, and the Health and Safety Executive, as part of their ongoing investigations. As a parent of a Secondary School child myself, I know just how important it is that we find out exactly what happened. I'm sure I speak for everyone at the Council when I say that Edinburgh, and indeed Scotland, has lost one of our finest public servants following the passing of Margo MacDonald, whose memorial service was held earlier today. Margo was a principled and committed politician who worked tirelessly to champion the Capital's interests at a national level. She was truly one of a kind, both passionate and courageous, and she will be very much missed. Our thoughts are with her family and friends. As you may have read, our Chief Executive, Sue Bruce, has received Dame Elish Angiolini's report into Mortonhall Crematorium. The report is lengthy and wide-ranging and Sue needed time to read it thoroughly before setting a publication date, which is now expected to be next Wednesday, 30 April. Parents will receive a personal copy that morning, ahead of wider publication. I understand how anxious they are to receive the report and hope this timescale will reassure them. Tram testing and driver training continues apace. Each of the 40 drivers is busy clocking up their required 60 hours' driving time, getting them used to interacting with other road users, especially along the city centre section of the route. Pedestrians, drivers and cyclists are also becoming accustomed to the return of trams to our streets and we've refreshed our safety campaign with a new #carefulnow hashtag to add to the popular #dingding and help raise awareness of how to walk, cycle and drive safely around trams. We're now gearing up towards the launch of passenger services, the exact date of which will be announced very soon - watch this space. Remember you can keep up-to-date with the latest tram news by following @edinburghtrams on Twitter. With both the European Parliamentary Elections and the Scottish Independence Referendum taking place this year, it's important that you are registered to vote. This is your opportunity to be part of our democracy and make your vote count. Registering only takes a few minutes and being on the Electoral Register has other benefits such as helping improve your credit rating and for background checks such as Disclosure Scotland and applying for benefits. Contact the Electoral Registration Office by calling 0131 344 2500 or visit www.lothian-vjb.gov.uk by 6 May to register, or to apply to vote by post or proxy by 7 May. The launch of our new 'responsive' website earlier this month marks a real milestone in the Council's ambitious ICT plans. The design and functionality of the site, which is easy to access on smart phones and tablet/iPads, is based on extensive customer research. In time, benefits to customers will include faster, automatic responses to online enquiries, a single record of contact with the Council and a secure 'myaccount' function. Please do take the time to have a browse - we'd be grateful for your feedback. The 1st May Full Council Meeting is now coming up next week obviously ... and all the reports are now up on Committee Papers On-Line (CPOL) and you can access the main agenda directly here; and each of the individual reports separately via this link. ... I hope lots of folk can make it along on the morning of 26th April. Sadly, I probably won't be one of them, as I've committed to attending this year's Pedal on Parliament event - with the Harrison Park feeder-ride leaving around 11am. All the details - for those interested - on the poster. 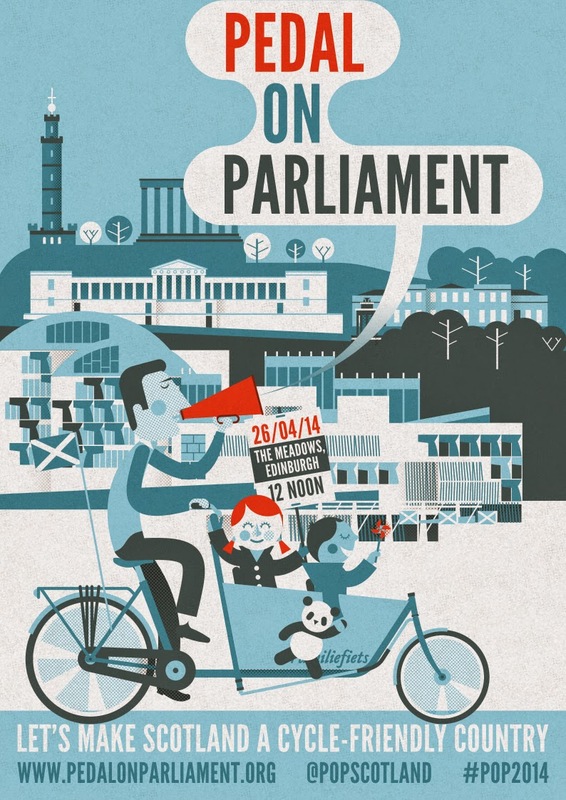 The third Pedal on Parliament (pedalonparliament.org) takes place on 26 April, meeting at the Meadows for a 12:00 start. The feeder ride is a pre-meeting so we can cycle down as a group, taking our time and letting the children enjoy the ride rather than rushing. Aim to leave at 11:00. Meet on the south side of Harrison Park on the path that runs between Harrison Road and Ogilvie Terrace. 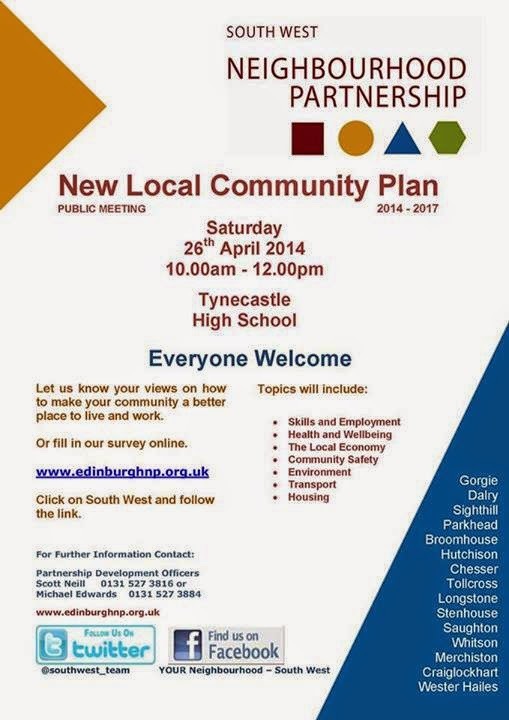 The New Local Community Plan public meeting for the South West Neighbourhood Partnership will be taking place on Saturday 26th April, between 10am-12pm at Tynecastle High School. All welcome - come along and have your say! I think you’d need to be inhabiting a wholly different world from the one I live in not to be aware that trust between the electorate and those of us either elected, or employed, to serve that electorate, has broken down badly in recent years. And you don’t have to look far to find yet another expenses scandal playing out in the media. Of course, this malaise doesn’t simply affect government or Councils, but it has to be openly acknowledged before we can successfully re-invigorate our democracy. It was clear when we formed a Labour-SNP coalition in May 2012 that business as usual wasn’t an option; we had to change the way we do things. That’s why we committed to becoming a ‘Cooperative Capital’. If this is to work, it can’t be a one-way street: two-way dialogue is a must. We want to encourage communities, partners and those using our services to become more involved in how these are planned, managed and delivered. The Cooperative Council philosophy underpins the Coalition’s approach to work on many levels. It means looking at new ways of delivering services but it also means cooperating with other agencies, other cities and, crucially the people of Edinburgh: doing things with them and not doing things to them. In a time of economic challenge, Edinburgh’s different sectors need to make real cooperative efforts to ensure this city’s high quality of life is maintained and, where possible, enhanced. There are good signs that this cooperative approach is starting to take root. Administratively, we have sought to make the way the Council does business more accessible to people through webcasting meetings, early publication of our draft budget and developing the policy review and development sub-committees to give stakeholders more of a role in how we develop policy. 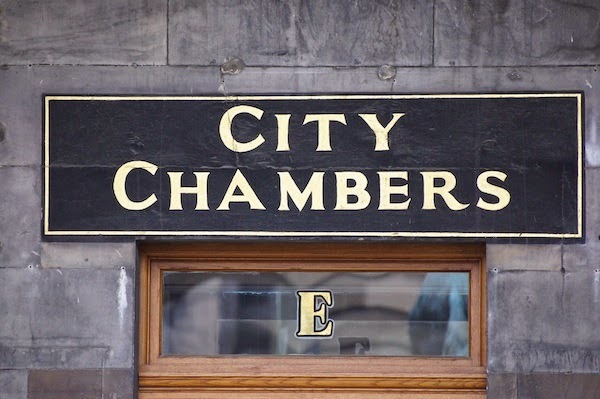 We established the first Petitions Committee in Edinburgh to enable local residents to have an additional channel to raise issues of concern, with their elected representatives, and directly with the Council. We also completely revised the budgetary process to allow months of debate and discussion before any final decisions are made, this year publishing a draft budget in October – five months before the budget was set. Hundreds of business and residents responded to our consultation and I’m grateful to them for taking the time to let us know their thoughts. In September 2012, we took on board voters’ priorities and focused our efforts on promoting and establishing cooperatives in four key areas: housing, childcare, energy and social care. In the year-and-a-half since, I’m pleased to report that we’re beginning to make some tangible progress in all four. The power of working with other sectors was recently demonstrated when Edinburgh was named as the site for Scotland’s National Performance Centre for Sport following a campaign led by Heriot Watt University and supported by the Council, Edinburgh Airport, and nearly 5,000 individual supporters – a real victory for Team Edinburgh. And just in case it looks like I’m being too Edinburgh-centred in my focus, the impact of a successful Edinburgh isn’t simply felt in the city itself. The case for the cities is well rehearsed: successful cities have a huge impact on their surrounding areas and are the driving force behind the national economy. The establishment of the Scottish Cities Alliance, the collaboration of Scotland’s seven cities, the Scottish Government and the SCDI, has been a welcome step and we are fully committed to achieving its collective aims of attracting external investment, stimulating economic activity and most importantly creating new jobs and business opportunities. Closer to home, we have joined forces with our neighbouring local authorities so that we can work cooperatively on issues of mutual interest such as skills and training, investment and tourism, energy and renewables. We also become the first Scottish Council, closely followed by Glasgow, to join the Cooperative Council Innovation Network. Despite its origins, the CCIN is detached from any party political structures and is registered with the Local Government Association as an independent network. It aims to enable councils to improve collaboration with citizens and communities, and strengthen cooperative practice. Together with Glasgow, we are planning a number of seminars and a conference later on this year and I am very keen that we continue to work and them, and hopefully other local authorities, to develop more cooperative practice and to create a Scottish network. Now more than ever, I see cooperative councils being at the forefront of innovative partnership working across sectors, tackling the serious challenges that lie ahead together and rebuilding voters’ trust in local democracy. 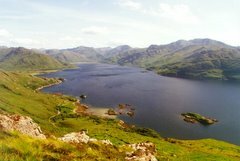 Half-term is here ... and I'm escaping for a few days, heading off down to Coniston (in The Lake District) tomorrow morning, through to Friday evening. And I know it'll be a huge disappointment - but there will now be no 'blog/facebook/twitter/blip' activity over the forthcoming week, as I make an attempt to reacquaint myself with the family! Normal 'blog/facebook/twitter/blip' service will be resumed by Monday 14th April. ... happy half-term to one and all. 19-miles today & only 7-weeks to go! ... mainly because I managed to get up to 19-miles earlier today, and all is still going reasonably well - no injuries and only 7-weeks to go now! He said: "I'm sure I speak for everyone at the Council when I say that Edinburgh and indeed Scotland have today lost one of our finest public servants following this very sad news. Margo MacDonald was a principled and committed politician who worked tirelessly to champion the Capital’s interests at a national level. "She was truly one of a kind, both passionate and courageous. She will be very much missed and our thoughts and deepest sympathies are with her family and friends." This entry was posted by Media Team on 04/04/2014. Five new CCTV cameras have been installed in the Telfer underpass in the Dalry area of Edinburgh in a bid to improve public safety. The cameras are now fully operational and will allow community safety officers and the police to monitor safety issues. Chair of the Edinburgh Community Safety Partnership, Cllr Cammy Day, said: "The wellbeing of the community is of the utmost importance and cameras have been proven to help people feel safer. "I am delighted that these cameras have now been installed and they will complement the other safety measures in place in this underpass, such as improved lighting and pre-existing CCTV on the streets in the surrounding area. "The Coalition is committed to ensuring that residents and visitors are well cared for, and communities are supported and kept safe." Very constructive meeting of the Scottish Cities Alliance earlier this week - I did mention some elements of this work back in my June 2013 Leader's Report: here. ... and this week's meeting did pick up some early press coverage: here. More details to follow in coming months, for sure. The BBC covered the story earlier today - here. The former headquarters of the North British Rubber Company, birthplace of the Wellington boot, the modern motor car tyre, and the first ever traffic cone, is a step closer to being saved from demolition and transformed into a world class visual and creative arts centre following major support announced today by the Heritage Lottery Fund (HLF). Castle Mills in Fountainbridge, Edinburgh, is the last standing reminder of the city’s world renowned rubber mill. 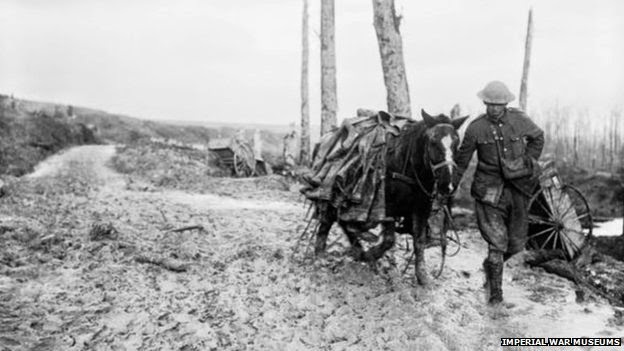 Now on the Buildings at Risk register, it was famous for pioneering the use of India rubber to make wellington boots, supplying 1.2million pairs to soldiers of the First World War to help them deal with the flooded conditions of the trenches and later to become the iconic Hunter boot. Today, through its Heritage Enterprise programme, HLF has earmarked funding of almost £5m to reinvigorate the building as a world-leading printmaking facility, a hub for creative enterprise and an arts centre with café, bar and learning spaces. 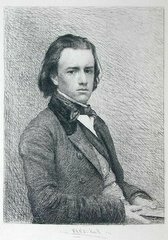 HLF also awarded a grant of £500,000 to assist Edinburgh Printmakers in developing the project to the next stage of the application process. Built in stages between 1856 and 1897 beside the Union Canal, Castle Mills is the last visible reminder of an industrial heritage which played a central role in Edinburgh’s development and economy, and in the livelihood of its population for over five generations. At its peak, the North British Rubber Company employed 8,000 people and covered a vast 20 acre site. Even as late as the 1950’s, it was still the city’s largest industry employing over 3000 people. Edinburgh Printmakers CEO, Sarah Price, added: “With more demand now than ever before for high quality printmaking facilities and training, this investment will secure Edinburgh Printmakers’ future at the forefront of printmaking internationally. Not only will many hundreds of artists benefit from the new cutting edge facilities but an extended programme of exhibitions, talks, workshops and community-based arts projects will attract thousands of visitors each year. Heritage Enterprise addresses ‘market failure’ - where buildings have previously failed to attract investment or realise their commercial potential because the cost of repair has meant that - until now - they were not commercially viable. The Heritage Lottery investment announced today bridges that financial gap. It will specifically help fund vital repairs and conservation works to the building, converting it into a safe, usable and inspirational space for new businesses. By doing so, the Lottery grant helps remove one of the key obstacles currently standing in the way of regeneration by transforming the neglected historic building into a productive enterprise that will create local jobs and generate wealth. Heritage Enterprise applications are assessed in two rounds. A first-round pass is given when HLF has endorsed outline proposals and earmarked funding. A first-round pass may also include an immediate award to fund the development of the project. Detailed proposals are then considered by HLF at second-round and as long as plans have progressed satisfactorily and according to the original proposal, an award for the project is confirmed. Edinburgh Printmakers: Sarah Price on 0131 557 2479 or 07882 797 064, email: director@edinburghprintmakers.co.uk. Heritage Lottery Fund: Please contact Shiona Mackay on 07779 142 890 / 01786 870 638 or Natasha Hughes, HLF Press Office, on 020 7591 6143 / 6032. Out of hours mobile: 07973 613 820. ... Edinburgh's own Autism Action Plan, can be found via this page. ... and any further updates will be posted via www.edinburgh.gov.uk/newscentre.